Mirko Maltoni, born in Ravenna in 1975,graduated with top marks from the “G. Verdi” Music Academy in Ravenna in 1999. He studied piano with Nazzareno Carusi and Massimiliano Ferrati and chamber music with Pier Narciso Masi in the “Incontri col Maestro” International Piano Academy in Imola, where he got the Master in Chamber Music with top marks in 2007. He got also the harpsichord degree from the “G. Frescobaldi” Conservatory in Ferrara. As continuo player he recorded a CD for the magazine Amadeus and he performed at MITO Festival and at Sagra Musicale Malatestiana. He also graduated with top marks in Harpischord, and he got the Laurea Magistrale in piano. He also studied greagorian and polifonic chant with Elena Sartori, and he has been a chorist for Ravenna Festival, il Cimere in Szekszard – Hungary and with the Ensemble Melodi Cantores he recorded for Tactus. He cooperates with Ravenna Festival, Accademia Bizantina, “B. Maderna” Conservatory in Cesena, “G. Frescobaldi” Conservatory in Ferrara, as well as with many musicians, accompanying their recitals and music courses. He also cooperate with several Masters among whom Sir James Galway, Lady Jeanne Galway, Raffaele Trevisani, Nicola Mazzanti, Bulent Evcil, Michele Marasco, Andrea Oliva, Leo Nucci, Cristiano Rossi, Thorsten Johanns, Giancarlo Parodi, Peter Lukas Graf, Claudio Barile, Thaddeus Watson, Andrea Griminelli, Maurizio Sciarretta, Roberto Giaccaglia, Sung Wo Jang etc. He’s currently accompanist in “G. Verdi” Academy of Music in Ravenna. In 2012 she began working with the violinist Claude Richard University of Montreal. Corrado Gulin is a solo pianist for record companies, broadcasters radio and television, shows and events of video art and is also the protagonist in numerous concerts and international festivals held especially in Europe, countries of the East, countries of the Mediterranean and Latin America. 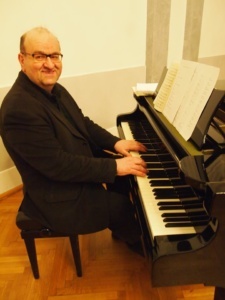 He has performed as a soloist and chamber musician in numerous festivals, musical seasons and for radio and television broadcasters of: Vienna, Salzburg, Prague, Buenos Aires, Milan, Rome, Turin, Ljubljana, Zagreb, Sarajevo, Belgrade, Bucharest, Budapest, Tirana, Malta, Island of Gozo, Cordoba, Lugano and others as well as for UNOP UNOPS PASARP. Corrado Gulin is the interpreter of US video productions made in New York from 1984 to 1987 which were presented at the level international in prestigious events in the United States (also at New York), in Canada, on the occasion of the “European cinema and television year” as well as in important halls and museums of Europe: Montecarlo, Budapest, Ljubljana, Graz, Utrecht. He has recorded numerous CDs, has also recorded for EMI and can boast many CDs distributed on the world market always by EMI in numerous international anthological editions. Gulin also recorded for Rusty-Records Milan, Pizzicato, Trieste Contemporanea, Audio Ars, Scenario, MAP Pagani, ZKP etc. and also as a composer for Rusty-Records and Rivo Alto. Gulin has obtained numerous national and international awards, has collaborated with the Teatro Comunale Giuseppe Verdi of Trieste, the Gran Teatro La Fenice in Venice, the Castello di Duino International Music Competition, the Competition Violin International Rodolfo Lipizer of Gorizia, the International Carlo Competition Cossutta International Award for New Voices of Lirica Emile Wieinberg and has obtained numerous other prestigious positions in music. 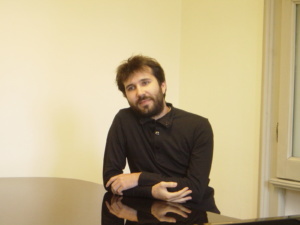 Corrado Gulin received the prize reserved for the best pianist in the competition International Seghizzi 2009. He has held many conferences in Italy and abroad on important musical themes. Best graded for the Chamber Theater at the ATEM of Terni 1987, he is also a Composer winner of prizes in international competitions in Budapest 1985, Linz 1986, Corciano 1987, Geneva 1989 in which he always has got the best ranking. His theatrical opera Fantabiancaneve was represented in 2006 at the Tripcovich Hall of Trieste. In 1986 he was awarded the Liszt Medal by the Ministry of the Hungarian Culture on the occasion of Liszt’s celebrations. Stacie Haneline. A versatile pianist, Stacie Haneline, maintains an active recital career in symphonic, chamber, opera, vocal and instrumental repertoire. Thomas Wilkins (Music Director of the Omaha Symphony and Principal Conductor of the Hollywood Bowl Orchestra) states, “…her musical excellence is overshadowed only by her generous spirit and kindness to her colleagues.” Stacie’s career highlights include performing with Boston Symphony’s Hawthorne Quartet in the world premiere of Clint Needham’s Voices for String Quartet and Orchestra; and the premiere of Leslie Adams’ Dunbar Songs with soprano Gail Robinson-Oturu. Additionally, Haneline has served as a collaborative pianist for the Sydney Opera House, the University of Australia, New York City Opera, Kennedy Center, Hawaii Opera, Virginia Symphony, Virginia Opera, Brooklyn Academy of Music, Brevard Music Center, Omaha Symphony and Opera Omaha. An established collaborator with Nebraska-based soprano, Jamie Reimer, Haneline and Reimer performed at the African American Arts Song Alliance featuring Robert Owens’ 4 Sonnets to Duse, and most recently, the duo has developed cutting-edge research on collaborative partnerships between singers and pianists, presenting their findings at conferences in Stockholm, Sweden and in Reykjavik, Iceland. Stacie also frequently joins flutist Christine Beard, with whom she has performed at the National Flute Association Convention, at flute festivals in Ecuador, Honduras and France, and on numerous faculty recitals at the University of Nebraska at Omaha. Stacie’s avid accomplishments as a chamber artist garnered her recognition as a semi-finalist for the coveted American Prize in chamber music as a member of I, the Siren. A passionate proponent of chamber music, Ms. Haneline’s arts administration experience extends throughout multiple organizations, including a 10-year positon as Executive Director of the Omaha Chamber Music Society. For her efforts, Wilkins has again hailed Stacie, stating, “…her tireless efforts to keep chamber music alive in the city is a gift not only to my musicians, but to our entire community as well.” In her current role as Artistic Director for Vesper Concerts, she enjoys collaborating and programming many different musical and artistic genres, and is particularly drawn towards socially relevant projects. A graduate of the Manhattan School of Music and Converse College, Haneline studied with Dr. Mark Silverman, Arkady Aronov and Dr. Douglas Weeks, as well as Josef Raieff and Marilyn Neeley. 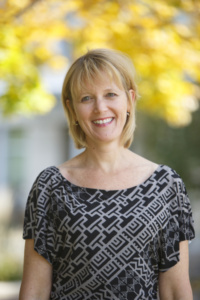 Stacie joined the piano faculty at the University of Nebraska at Omaha in 2010 where she serves as the collaborative pianist for visiting artists, faculty, and ensembles.